Photoshop and Lightroom are image editing programs that were developed by Adobe Systems to view, organize and retouch digital images. In the real estate business, it is important to present images of properties and housing that appear sharper, more vivid and larger than life in your website, brochures, social media accounts and other marketing materials. After all, people do not buy products until they see, touch it or take it for a test drive. 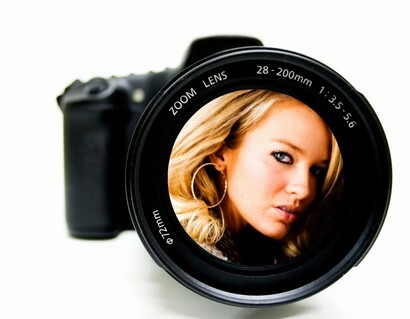 In the virtual world, the closest people can get to a product is through images. A drab, lifeless image will do nothing to improve your chances of making a sale much less generate interest. Hiring professional photographers can be very expensive and the pictures that you’ve paid for today may not be relevant or current by the following month. If you’re a small business owner, your funds are probably tight and you have access to limited capital. Your challenge is to stretch your budget to cover operations and at the same time, invest to keep your business growing. In the real estate business, you need to allocate a significant portion of your capital to marketing and promotional activity. Despite the evolution of technology and the popularity of social media, the level of competition in the real estate industry requires business owners to implement both traditional and digital marketing strategies. Traditional marketing strategies include the production and distribution of Point-of-Purchase or POP materials such as flyers, posters, streamers and banners. Digital marketing strategies include website design, social media, e-mail marketing, link building and SEO among others. In both marketing approaches, materials require the use of great, well-produced images. If you do not have a budget for a professional photographer, a regular digital camera may suffice because the images you capture can be enhanced and optimized by Photoshop or Lightroom. Photoshop has become so popular in usage that the brand has become an adjective. When people look into images in a glossy magazine depicting people who appear to be “perfect” in all aspects, you would expect to hear readers opine the model has been “photo-shopped”. Photoshop is an image editing program developed by Adobe and is widely used by photographers, graphics artists and website designers. Lightroom is also an image management and editing program developed by Adobe. While these are essentially image editing software Lightroom is primarily used for handling a large volume of images. As you can see, while these are image editing programs their differences in function make them indispensable working together. Photoshop has more features for editing your images and photos but Lightroom’s workflows allows you to get things done faster and more efficiently because you can view, organize and apply basic edits to a large volume of images all at once. Photographers use these programs in tandem when enhancing or improving your photos. But again, these services can be quite expensive especially if you consider marketing materials change frequently owing to changes in trends and consumer patterns. At Outsource Workers, we’ve qualified Virtual Assistants who have the experience and working knowledge to operate Photoshop and Lightroom. Our Virtual Assistants can edit your photos and images to make them appear more vibrant, appealing and life like. They have the abilities and required competencies to manage Photoshop and Lightroom like a professional photographer. Hiring our virtual assistants to perform these functions for you will optimize your marketing materials and website graphics without breaking your budget. If you’re interested in our Photoshop and Lightroom services, kindly drop us an e-mail or give us a call.